Fifty-seven seasons have now elapsed since that sunny September afternoon in 1961 when Sandgate Redcliffe and Balmoral Wynnum made their first A grade appearance in the district competition at Sandgate’s Albury Oval. Sandgate took the points with a first innings win and the clubs have since met 60 times with the honours shared. Contemporary newspaper reports lamented the addition of two teams to the competition claiming a consequent lowering of standards. Forty years on, this line of reasoning can still be heard in some quarters. Balmoral Wynnum was created by the amalgamation of Eastern Suburbs – Balmoral from Bulimba and Wynnum Manly from the Wynnum area. The two clubs had fielded teams in the lower grades competition for some years and were finally admitted by the Queensland Cricket Association to its premier competition – A Grade as it was then known. Home games were played at Bulimba Memorial Park and Wynnum Memorial Park. Easts Balmoral was of course an offshoot of the Eastern Suburbs club which was then based at Langlands Park, just as Sandgate had previously been connected with Toombul. Balmoral Wynnum fielded teams in five grades: A, Reserve, B, C and Intermediate. These early years were very much learning years. The 1960s produced few notable performances as it was not until the club’s third season that the first First grade century was scored. The club produced two Sheffield Shield reps in Keith Dudgeon, who came from Cairns, in 1968 and 1969 and local product Bill Albury who played from 1971 to 1974. Albury was actually the first selected Representative player but unlike the world of sport today, he was unable to take his place in the team because of work commitments. In 1975 the club changed its name to Wynnum Manly to better represent its catchment area, because residential qualifications were then in place. Don Allen was approached to come over from Norths to captain the side and strengthen the batting, which he did for two seasons 75 and 76. Allen played two Shield games while at Wynnum. Denis Schuller was the next player called to State honours following consecutive centuries in 1975/76. During this time second grade achieved the Club’s first senior premiership in 1975/76 and again along with third grade in 1976/77. On joining Wynnum Manly in 1976/77, John Bell was the first appointed captain coach of a Brisbane club side. Bell’s tenure produced a purple patch for the club resulting in eight consecutive first grade finals appearances from 1977 to 84 including premierships in 1981, 82, and 83.Bell’s policy of introducing youth was vindicated as Greg Ritchie, Carl Rackemann and John Maguire eventually represented Australia as Wynnum players on occasion in the same team. Bell also recruited the Australian player Gary Cosier to play at Wynnum Manly and he became the club’s first Australian representative when he was selected for the West Indies tour in March 1978. Interestingly, because of these representative commitments, Cosier only played two innings for Wynnum Manly. Cosier’s last Shield innings as a Wynnum Manly player coincided with Wayne Broad’s Shield debut in January 1978. Broad and Cosier therefore played together for Queensland without playing together at Wynnum Manly, as Broad was seconded to play for Colts in 1977 and 1978. We achieved our strongest State representation on four occasions when four Club players played Shield together. In 1978/79 Schuller, Broad, Maguire and Bell played two games in Bell’s only Shield appearances. In October 1982 Broad, Maguire, Rackemann and Ian Gallagher played South Australia in Gallagher’s single Shield appearance and in December 1982, Broad, Ritchie, Maguire and Mark Gaskell played Tasmania in Gaskell’s only appearance as a Wynnum Manly player following a 13 match representation while at East’s. Ian Kelly was another to join the Shield ranks during this time. It was not until 2001 that we again achieved four State players in Stuart Law, Adam Dale, Scott Prestwidge and Scott O’Leary in an MMI match in Perth. The eighties found Wynnum Manly at Boundary Street Tingalpa following a short lived moved to the Clem Jones centre at Carina in 1978. 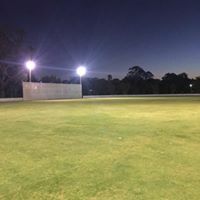 Noel Gorman presided over this development and with a dedicated band of players and officials armed with public sector finance produced two fields and a clubhouse, which evolved from a Council floodplain and a discarded Brisbane Tram into a quality grade cricket facility. From this beginning an ethos and a strength was formed as the cricket complex emerged and developed. This sense of history and a willingness to build for the future has carried through to today. Wayne Broad took over the captaincy from Bell in 1984 and there followed a rebuilding period where premiership successes were hard to come by. Mark Gaskell took over the captaincy in 1988 with an untried outfit. upon Broad’s retirement The lower grades were successful during this time with second and fourth grade securing premierships in 1985 and the under 18’s in 1989. The nineties saw firstly Peter Cantrell and then Mark Tooley make the Shield side. They were followed by Scott Prestwidge and Adam Dale. Stuart Law came from Valleys to join Dale as an Australian representative. This period brought lower grade successes with premierships for fifths in 1993 followed by sixths in 1994, fourths in 1997 and seconds in 2000. The arrival in Queensland of former Australian player Trevor Laughlin produced a much needed impetus on the field. Laughlin joined a growing band of players who had Representative careers before playing for Wynnum – Laurie Chapman, Alan Jones, Ray Phillips, Ken Healy , Richie Robinson and John Hill. Laughlin captained for two seasons 1992 and 93 and then took over as president when he finished playing. During this time a better sponsorship base was actively pursued, the junior division was consolidated as part of the club, and a women’s team was introduced. Julia Price and Sally Cooper represented Queensland and Australia as Wynnum Manly players. Under Healy’s captaincy 1995/96 produced a first grade premiership and the club championship. Again in 1996/97 first grade made the final to be beaten by Valley in the last grade final ever played at the Gabba. However in ensuing seasons this momentum was not carried forward. It took until 2003 under Adam Dale’s leadership that first grade again made the final only to be narrowly beaten by Gold Coast in their first win. In 2005 second grade won their final by defeating Souths. In 2000 the Club agreed to surrender its number one ground and allow its development as a first class soccer venue. As part of this process the number two ground was rebuilt and another ground developed giving the club three grounds of a high standard. The club plans further development to accommodate additional grade, womens and juniors sides as we face the challenges presented by the modern game. In the new millennium 2001 saw Scott O’Leary become our next Shield player having risen through the club’s ranks from under 16s – being one of only a few to have played in each grade. Chris Simpson, in 2003, and Ryan Broad, in 2006, became our latest additions called to State selection. Like O’Leary both these players are local products having played their cricket for Wynnum since under 16’s. Broad joined an unique group of eight where fathers and sons represented Queensland. While the eighties were the most successful years on the playing fields the nineties ushered in a period of redevelopment and redefining the Club’s focus. It became apparent that the Club could not continue to exist on canteen generated funds for only six months of the year. Wynnum Soccer was approached and being in a similar situation and having outgrown their premises joined us at Boundary Street. With changes to licensing and gaming regulations a building program was undertaken and a joint Sports club formed to operate the licensed premises and contribute to the running of both sports. Noel Gorman oversaw this development with board members from cricket and soccer and initially the new arrangement succeeded with the addition of hockey and other sports. However the Sporting club did not keep pace with industry trends and subsequently failed. It is only now, after a few years where it struggled to trade that it may fulfil its early promise with a regenerated Board and a renewed program. The highlight of the 2006 season was when Ben Laughlin and Trish Brown won the individual trophies for the best and fairest players in the mens’ (Peter Burge) and womens’ (Kath Smith) competitions. Brown has now won the award for each of the four seasons it has been available. Under 18’s and under 19’s won their premierships. 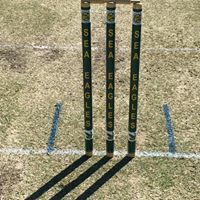 Club cricket returned to the Gabba with the 20/20 final where we were outclassed by University and where our womens’ team lost the final to Wests. The 2006/07 season was our best for some years. We won the Club Championship by the narrowest margin of 2.22 points from Redlands – our first win since 1995-96. Five teams made the finals (1sts, 2nds, 5ths, 18′s and women’s 1sts) where fifths secured the premiership. A building program funded by assistance from the State Government and Brisbane City Council provided a Clubroom and dressing rooms on our main ground as well as dressing rooms for the second and third grounds facilities which are the equal of any club in our competition. 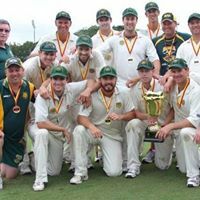 In 2011, in our 50th year, the club again won the first grade premiership. In more recent years, Alister McDermott, Jason Floros and Peter George have joined the Queensland ranks and our youth programs have been very successful in bringing both premierships and future stars to our club.